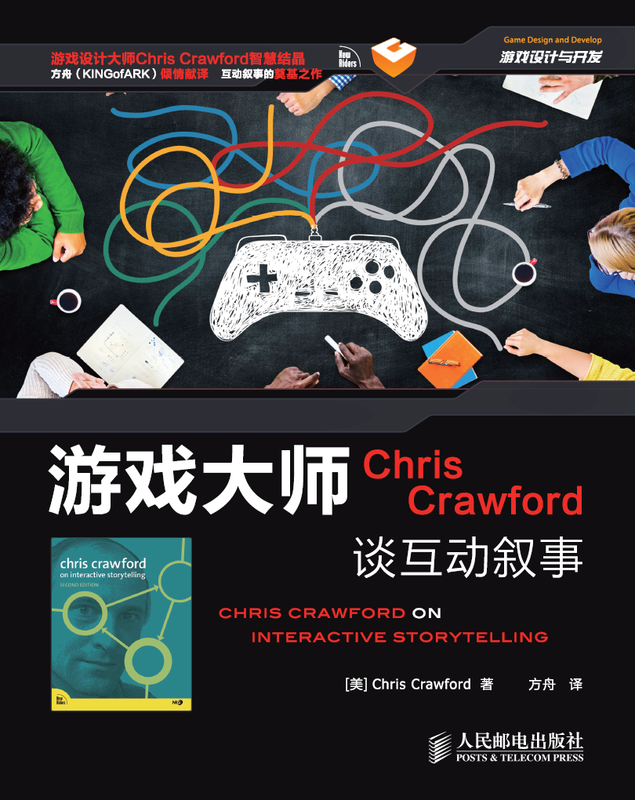 So finally my Simplified Chinese translation of Chris Crawford on Interactive Storytelling 2nd Edition will soon be published by Posts & Telecom Press, one of the big-four information industry oriented publishing houses in China. I wouldn’t call the cover design aesthetically satisfying, but I’m not going to kill the cover designer either. I tried to push the idea of using a visual element that reflects the concept of drama (you know, the two masks that are usually used to represent it), but eventually the first draft was used – yes, with that big embarrassing game console handle rearing its ugly head. The people element is actually a great idea, if only “drama” was in the big picture. But anyway, I’m excited that a wider audience in China will have easier access to the concept of this ever-emerging field of Interactive Storytelling. I’m ready to be part of it.